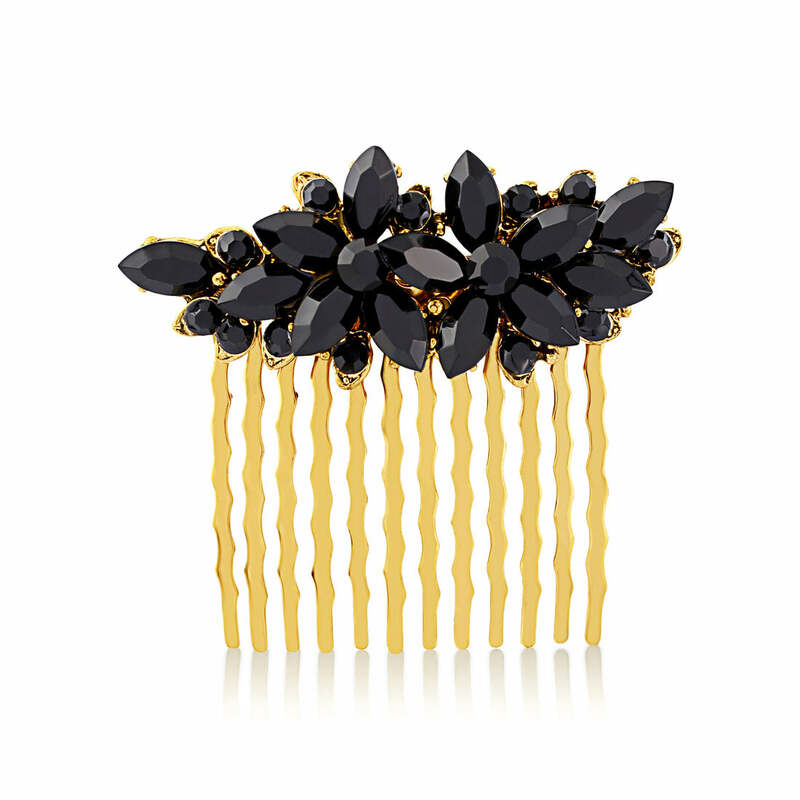 Glamorous and luxurious, this black and gold crystal hair comb adorns with Gatsby style. Extravagant and luxurious hues of black and gold set in a subtle design make our Dramatic Luxe Hair Comb beautifully versatile and alluring. Exuding Old Hollywood glamour, this opulent ‘piece’ looks exquisite adorning a side chignon for movie star style or dressing hair half-up with classic embellishment. From a black tie event to a cocktail party, this is the perfect hair accessory to achieve a look that is understated but eye-catching. 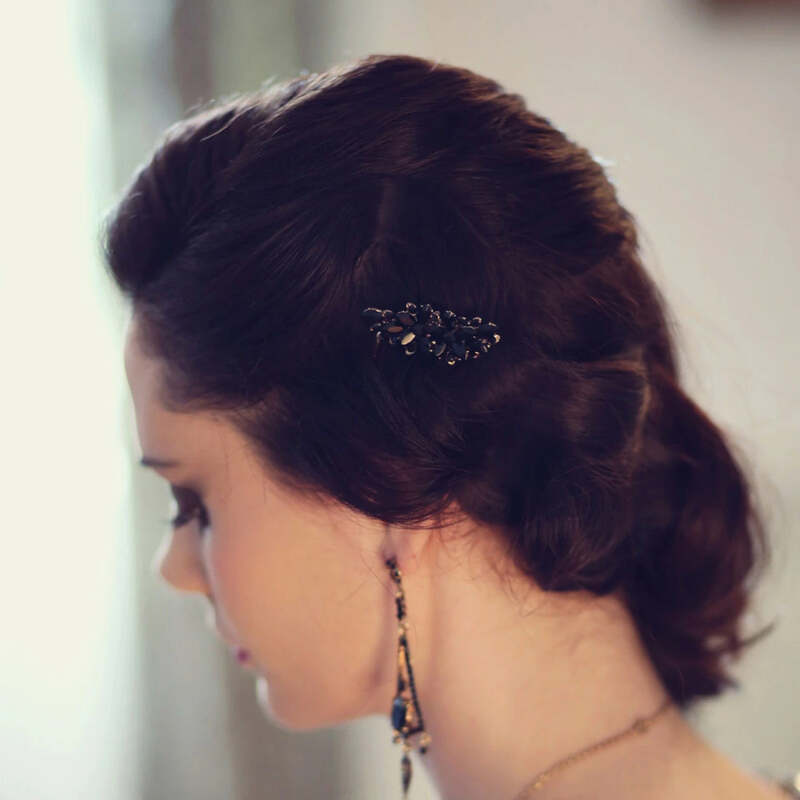 With many brides opting for a Gatsby themed wedding or incorporating black into their colour scheme, Dramatic Luxe Hair Comb is perfect to add a touch of good old fashioned glitz for the evening reception or to bejewel bridesmaid’s hair to achieve a show-stopping, decadent wedding style. Coordinate with our black and gold range for added Gatsby glamour.